Are you looking for trophy cases to showcase and protect collectibles, merchandise or personal treasures? Display cabinetry and furniture is used for much more than simply storing sports trophies and awards, and we offer a variety of sizes and styles to complement any collection. 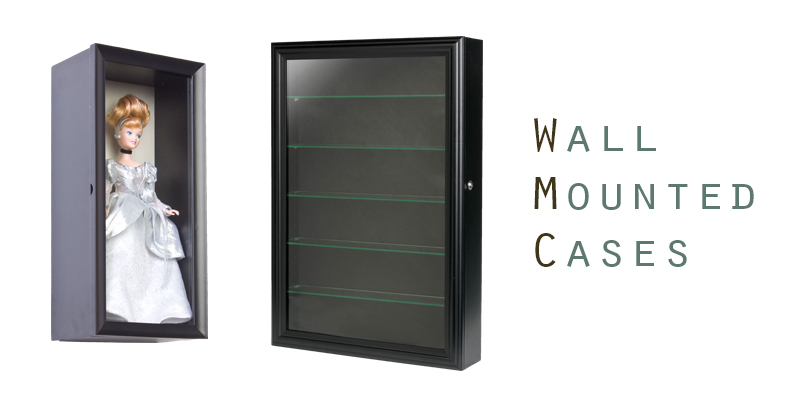 TrophyCasesNow offers models designed for home, retail merchandising, business or commercial display and storage. Our full-vision, glass-fronted enclosures are specifically designed to showcase, present and protect awards, antiques, collectibles, medals, trophies and high value merchandise in residential, institutional, commercial and retail environments. Display furniture styles range from traditional carved wooden curio cabinets to modern high security wall mounted retail cabinets to gallery style pedestal showcases and decorative open-front hanging shadowboxes. 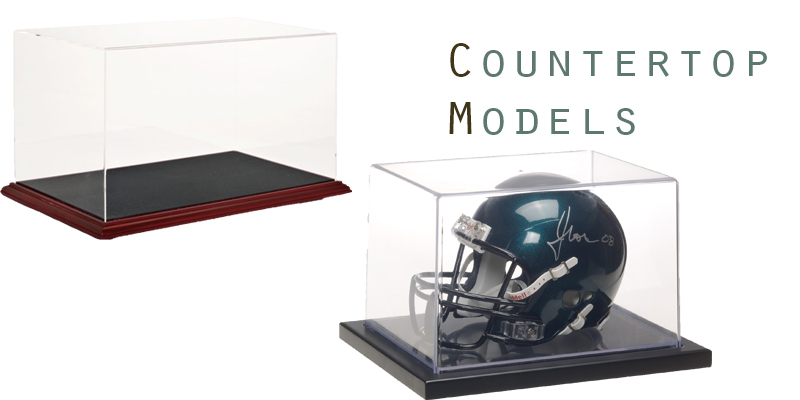 Many of our trophy cases for awards, memorabilia and collections are constructed using tempered glass that provides both perfect visibility and superior safety. Modern-looking full-vision fixtures provide an unobstructed 360° view while keeping goods or collectibles securely locked inside for protection. 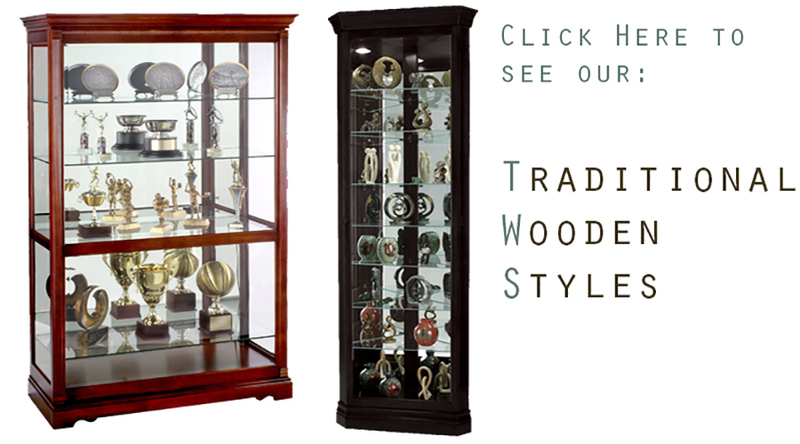 In addition, our high-quality wholesale trophy cases, sometimes called collectible display cabinets, can be ordered in a variety of finishes that can be matched to any décor. Browse our comprehensive online inventory catalog to easily find and select sizes and styles that will complement all locations, environments and collections as well as fitting any size budgets. What makes these collectible display cabinets the best available? All of our trophy case and shadowbox award displays include shelving, and many also feature adjustable shelves. Curio cabinet shelf construction, like the entire unit, typically uses tempered glass, which is treated with either heat or chemicals for increased strength. Improving the structural integrity of the units is one benefit, but another feature of tempered glass cabinetry is that in the event that the collectible display cabinets are broken, the glass material crumbles rather than shatters to protect staff members, customers, or guests. The layout of these trophy display cases are optimized for the best possible view of all contents. As a result, many of the more modern enclosures feature glass on all sides. This feature allows for 360° viewing, so more people can look at the same time. Traditional collectible display cabinets for memorabilia or merchandise feature decorative wood detailing and are available in a variety of finish colors. Mirrors are often mounted to either the trophy display cabinet back panel or bottom deck to add more depth to displayed articles. In addition, any light is reflected to further highlight the contents. Built-in lighting is a common feature of a great number of curio cabinet models. Top, side and spot lighting are the most common styles, although some models do not include any lights. Top-mounted halogen bulbs provide enough light to perfectly illuminate artifacts, artwork, or merchandise. Either a button or rolling switch enable straightforward operation of the built-in lights. Doors and access points are fitted to either the front or side of each tower, so changing retail displays or museum exhibits is simple. Additionally, locks are placed on each of the openings to keep items protected from unnecessary damage, tampering or even theft. Purchasing the proper display can be challenging, but comes down to a matter of matching the intended contents to the location, the audience and the purpose. One attribute that separates many of the display cabinets from others is optional lighting. Some units are lit with overhead fixtures, while others feature both top lights and side-mounted track light systems. Still others do not come with any lighting yet boast open canopies that let in natural illumination. In addition to that decision, shoppers must decide what they require for their specific applications. If you intend to position the housing in the center of the sales floor, then a full-vision, floor-standing model is ideal. More conventional options include against-the-wall or wall-mounted curio cabinets with wooden construction. Slim towers are perfect for retail settings that are selling expensive gear. 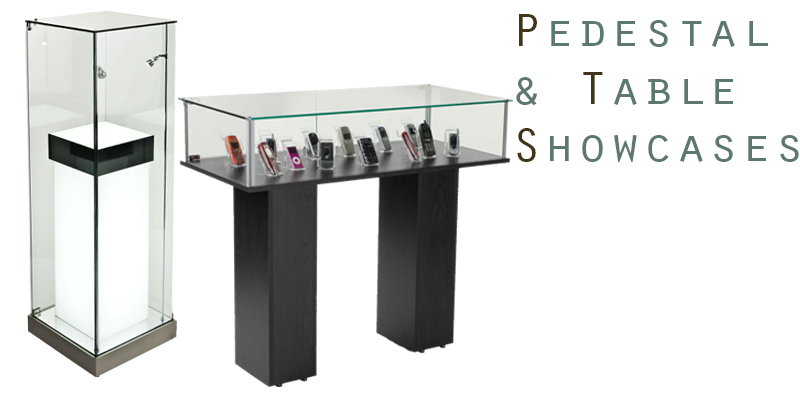 Pedestal styles are typically set up in a school or museum to create exhibits. The widest designs hold the most items, while countertop fixtures help present smaller wares at a checkout stand. Where are memorabilia showcases set up and how are they used? School offices and college hallways are great for showing off trophies, awards, and other student or alumni achievements. Accentuating academic or athletic accolades generally helps promote pride and school spirit. For the same reason, corporate offices also frequently share plaques, prototypes and early models and other successes with employees, vendors and visiting guests. Private collectors make up a large portion of our buyers. Many customers choose to exhibit their personal collections, memorabilia displays or other one-of-a-kind collectibles with visitors to their homes. The extensive variety of finishes and configurations gives shoppers the solutions that exude sophistication and class. Displays of personal effects and honor flags in elegant burial flag cases are frequently passed down as family heirlooms. Retail businesses and commercial companies are perhaps the most common sites for these display cabinets. Locking models with lots of shelving and light fixtures present best-selling and costly merchandise to customers with ease. Customers prefer versions that offer an excellent view yet are sturdy enough to last anywhere. The spectrum of showcases for awards, collections and merchandise is extensive, including a complete array of sizes, features and options. We stock all styles, including tall, narrow models in both home and retail layouts. These pedestal style items have smaller footprints yet supply enough storage space for entire collections. Traditional corner curio cabinets take advantage of commonly wasted space by fitting neatly in 90° crevices. Wall-mounted models don't occupy any floor space at all. Countertop versions are perfect for POP store displays, while wide curio cabinets give users ample area for showing any goods or collectibles. 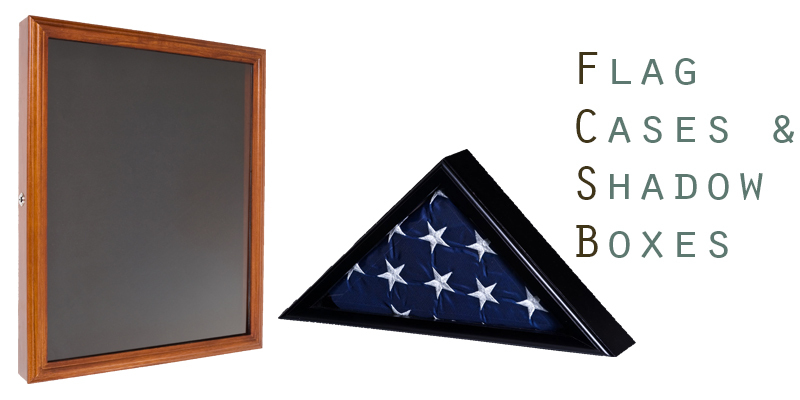 Specialized memorial flag holders display treasured mementos in a place of honor in any location. 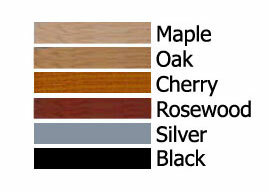 Most styles are available in a variety of finishes to match any home or office décor, from traditional wood to neutral black or white. The range of our selection is unparalleled, as our three on-site warehouses offer some of the fastest shipping times available in addition to the wide variety of quality choices! Check out our site directory for a complete listing of our full inventory of in-stock, ready to order display furniture and fixtures.